Are you a part of the business over block-chain with a vital need of crypto currency exchange? Do you often feel the need for some hypothetical currency for online transactions? Have you encountered Crypto currency term many times in past few years, be that in a newspaper or social media? Do you wonder about what this crypto currency is all about? We have brought answers to all your curiosities and queries so that even you can avail this opportunity to be a part of crypto currency exchange. Crypto currency exchange is fundamental, any business that allows customers to trade in digital currency for other assets. Crypto exchange companies can be someone who simply charges fees as a matching platform or typically take the bid as transaction commissions for their services. These may accept credit card payments, wire transfers or other forms of payment in exchange for digital currencies or crypto currencies. 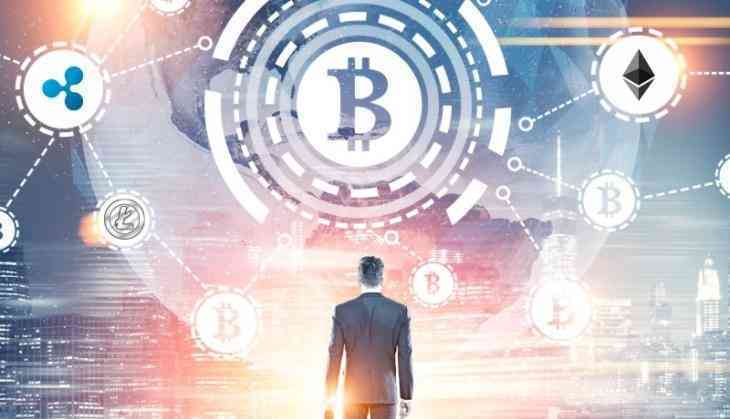 Till date, crypto currency exchanges regulators are still considering how to deal with regulation regimes that do exist but have often not been tested. However, one name you can surely trust in this field is https://www.cryptobulls.exchange. They can send crypto currency to your personal crypto currency wallet or can even convert digital currency balances into anonymous prepaid cards which can be later used, to withdraw money from ATMs. If you are planning to do any transaction with your crypto currency then you can opt this digital platform. You will be experienced with the best and secure crypto currency exchange service. We have come across so many different people using this platform for crypto exchange and all were with positive feedbacks. Polls have found out that crypto bulls provide totally safe gateways for crypto exchanges like BTC to Eth, BTC to LTC and many other forms. Hurry up go and do all your transactions tension free with the most reliable digital currency exchange arena, it will be a never before experience for sure. Being one of the giants of crypto currency exchange, this provides a marginal trading option for its customers. They also offer an easy to use Android and IOS app, which is constantly updated to make it one of the best in the industry. This unique approach is something you should follow in 2018, many new and undervalued cryptos can be found here. Further, this is great for currency conversion as they offer the facility to convert any type of crypto currency of your choice. Created by a talented team of economists, high-frequency traders and web developers, the best part about this platform is that you will never face any issues regarding the liquidity of your crypto currency. Even though the primary currency exchanged on this is bitcoins, you can also experiment with future investments for altcoins such as Bitcoin Cash, Ethereum, Cardano, Litecoin, Ripple, etc. The registration process for Cryptobulls Exchange is absolutely uncomplicated, you just need to register through your e-mail address and have a look at the straight forward fees structure, and you don't need to go through any kind of lengthy verification procedure. They have aggressively grown in stature and have the record of listing various cheap coins, by cheap I do not mean fake or scam, and it’s only that these coins are not found on other popular trading platforms. This approach makes it possible for them to offer customers a higher currency liquidity rate than other alternatives in the market. They have a great reputation with account creation, security, etc which makes it the go-to platform for a extraordinary figure of different traders all across the world. It has a well-defined User Interface (UI), encompassing intuitive navigation and an excellent set of order types. It offers the users the ability to scroll through all the coins along with their price and volume while viewing the chart of single coin. It offers to its customers, one of the widest selections of Altcoins coupled with its great UI and low transaction fees, Cryptobulls Exchange is a great choice for traders who need access to all those coins. A vast range of payment methods are accepted and the users are free to buy and sell using any available payment method. The payment method does, however, depend on what options are available in your location. This platform maintains superior levels of privacy as it does not require ID, verifications, or any personal information apart from email ID to signup. Although Cryptobulls Exchange itself does not require any personal information, some buyers and seller may require identification before making a trade. The speed, at which your bitcoin is dependent, can be your payment method, coin, and location. The speed of the delivery is also dependent on seller confirming the payment, so at a time it can take a while (generally not more than 15 minutes). The fastest way to confirm sale is to make payment in cash deposit, the sale process for this is made fairly easily and can deliver bitcoins in less than one hour. The best part about this platform is that they assure superior levels of privacy and charge minimal processing or friction charges. The prices may differ or may be inflated depending upon the mode of payment. They are establishing a massive reputation in the market for their superior customer support and assistance. The Cryptobulls Exchange support is usually very swift in fielding the solutions to all kinds of issues or inquiries. Further, they also offer forums where you can request help from other users of the platform.